I’m a little stalled on Guinness and Randall, but I’ll finish. I promise I will give you some thoughts on Adam Roberts, The Thing Itself, and Sarah Hepola, Blackout: Remembering the Things I Drank to Forget, each of which were fascinating (but in very different ways). 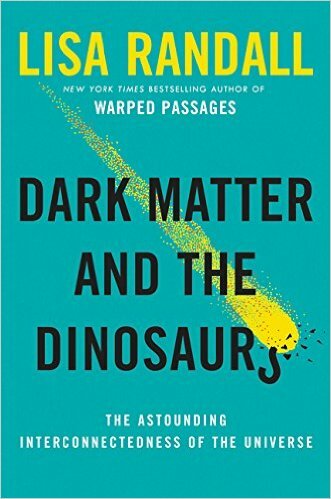 Dark matter’s existence perplexes people who find it implausible that the vast majority of matter in the universe would be undetectable by our senses and their technological extensions. Some even wonder if it’s a sort of mistake. To me it would be even more astonishing if the matter we can see with our eyes were all the matter there is. You might have thought such hubristic beliefs were upended by the Copernican Revolution. After all, the history of physics is the history of revealing how much is deceptive, or is hidden from view. Lisa Randall, “Seeing dark matter as the key to the universe — and human empathy,” Boston Globe (October 26, 2015) (https://www.bostonglobe.com/opinion/2015/10/25/seeing-dark-matter-key-universe-and-human-empathy/NXNMBXAa7WEWejN63fFCNL/story.html).